But all of these are so heady….so theoretical…Sometimes I just want to know more about God’s personality. For example, I am a talker…give me a subject that I am passionate about and I will talk all day on it. I am also curious….I like to know why things work, what makes them tick, how can I fix something that is broken. Well, what is God like? Is God a talker? Is God curious? Does God have a favorite subject? A quirky personality? Now, I know these are all human qualities and even suggesting that God has a personality like we humans may be heresy to some folks. But scripture says we are made in God’s image, and if so, then there must be connections between the way we see and interact with the world and the way God does. And scripture is, in many ways, the story of people trying to understand those qualities. Now most often these passages are preached in a way that compels us to DO something. And I think that is good. They do help show us a particular way to live. This week in our new Blog, Joanie and I wrote about some of these ways of living. One of our posts described the beatitudes as a stairway into God’s kingdom..that is, the beatitudes are like steps on the journey of faith as we move closer and closer to God’s kingdom and we learn to live a kingdom citizens, as we work to bring God’s kingdom to be on earth as it is in heaven. First, justice would, on the surface, seem quite wise. Some of the wisest folks in our land are judges and lawyers in our land. But in this passage, justice is about doing what is right. This may somewhat different from our legal system – which is focused on enforcing laws and settling disputes. Consider the statues that adorn many of our court buildings. Usually, the statue is a woman holding scales with a blindfold over her eyes. She suggests to us that our justice system is about being fair and balanced, or impartial. That is not the kind of justice that mishpat speaks of. Mishpat is justice that sees, that pays attention to those who are most vulnerable in our community and is absolutely partial to actions that are right, not simply fair. Jesus gives us the fullness of what mishpat means when he says you have heard it said and eye for an eye, a tooth for a tooth – that is, after all, what is fair and balanced on the scales right . But Jesus’ justice is different. But I tell you to turn the other cheek, give not just your shirt, but your coat as well, walk the extra mile, give to those who ask and love your enemies. (Paraphrase). That is mishpat – God’s justice that is totally biased towards us, justice that wants the best for us always and forever! Second, love kindness – now that sounds nice, but let’s dig deeper, what does loving kindness mean? The word here is hesed and if you have come to any of our Thursday prayer and bible study meeting, you have heard me talk about hesed. It is one of the most important words in all of the Hebrew bible. It means faithfulness, loyalty, goodness kindness, steadfast love, unconditional love. Hesed is the word used to speak of Gods merciful love towards us. It is a word that implies a relationship of mercy, fidelity, forgiveness, and grace. And Micah says to love these things. It is a beautiful and poetic request, but it is also set in stark contrast to the world’s wisdom which says to love things like money and success and beauty and status. Most especially in contrast to the wisdom of the world which cannot really comprehend the steadfast and unconditional love of God. Third, walk humbly with God. Humility leads us right back to those beatitudes, doesn’t it – blessed are the poor, the meek, the mourners, the merciful, the pure in heart, the peacemakers. Humility is a pretty good word to summarize several of the beatitudes. A word that implies modesty, vulnerability, a lowering of the ego, placing others before self. In other words, a lot of actions that are often considered weak, ineffective, impractical and unsuccessful in our world. Humility will not get you far in the dog-eat-dog world. But in God’s kingdom, humility is a key to being blessed. Are all these things requirement? And if so, requirement for what? For salvation? For relationship with God? Testament. Those division are Torah (or law), Nevi’im (or prophets) and Kethuvim (or writings). Torah is first and most central because it contains God’s law found in Genesis, Exodus, Leviticus, Numbers and Deuteronomy. The Torah is so central and important that Synagogues use it each week much like we have the Lectionary. Over the course of 1 year they read through the entire Torah by having a particular portion of the Torah each week. itself as if to emphasize the search through repetition. This is no coincidence. a constant searching of God’s word, constant studying of scripture, constant inquiry in order to more deeply understand God. God searches. God is one who searches diligently and deeply. God searchws within us, says Micah 6:8 – within our lives, within our actions, within our being. 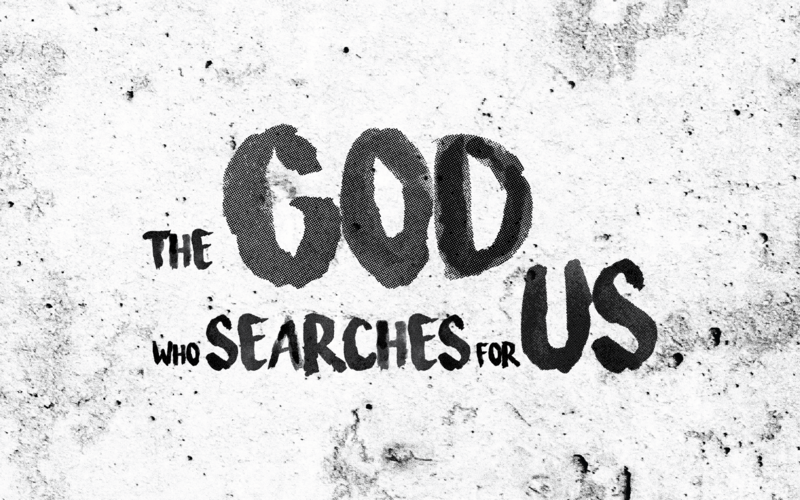 And What does God search for within us? What does God seek from us? God searches within us for how we are doing justice, that is for actions that are right, that are about wanting the best for one another. God searches within us for how we love mercy, for how we are unconditional and steadfast in our love. Not exactly what the world of riches, fame and success look for within us. But it is part of the identity of God to search for these things within us. And though that may seem foolish to the world around us, it is power and wisdom and strength in the kingdom of God. So, brothers and sisters, I ask you and me today, as God searches intimately and lovingly within us, within our lives, what will God find? Let us do justice, love mercy, and walk humbly in our journey through life as God loves and searches for each of us…for by doing these we are being saved!